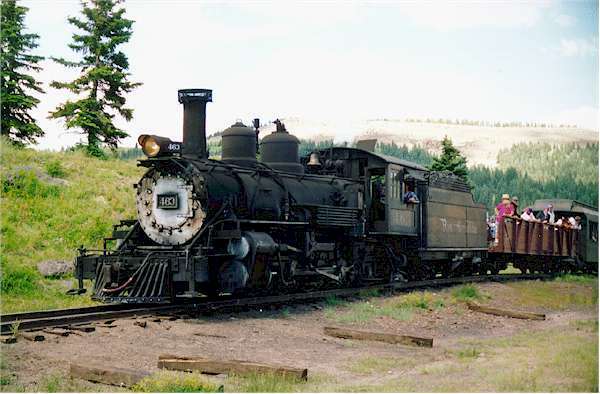 Number 463 is the oldest locomotive on the Cumbres and Toltec. It has run miles over the fabled Rio Grande Southern railroad prior to it's abandonment in 1952, and then was purchased by Gene Autry. Gene Autry took the locomotive to California, then in later years, donated it to the City of Antonito. It was restored to service in the mid 1990's by the competent steam shop of C&TS. Here is a photo of 463 at Cumbres Pass. Number 487 is probably the most often photographed of all the C&TS Locomotives. Here it is turning on the wye at Cumbres after helping a train up the pass. 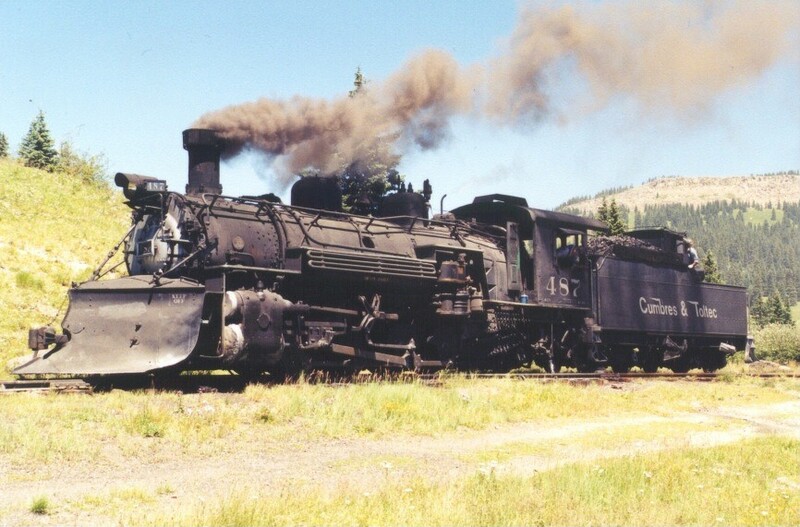 Cumbres and Toltec Scenic Railroad. The longest and highest Narrow Gauge Railroad in North America.